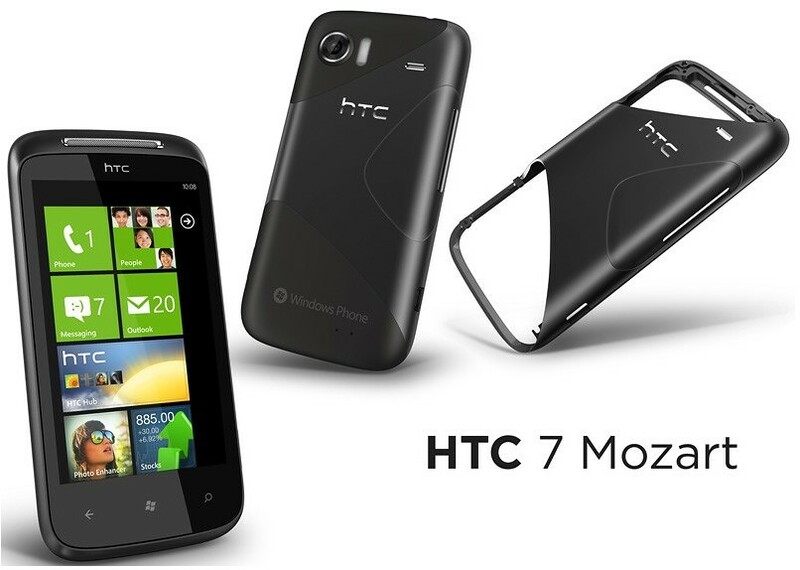 HTC today announced the upcoming availability of HTC 7 Mozart, along with HTC HD7, HTC Surround and HTC Trophy, at a special Windows phone 7 event in USA. When compared with the other HTC Windows phone 7 models, HTC 7 Mozart gives more importance to the imaging side and the external design. HTC 7 Mozart is the only 8MP camera phone in the new Windows phone lineup. Moreover, the Mozart has a Xenon flash for taking better images at low light conditions. HTC 7 Mozart has design elements from the HTC Nexus One, HTC Desire and a uni-body aluminum construction as we have seen in HTC Legend. The device comes with a 3.7 inch, VGA capacitive touch screen, which supports multi-touch in browser, gallery and other applications. The Windows phone 7 UI in HTC Mozart is the same as we have seen in HTC HD7, HTC Surround and HTC Trophy. Microsoft doesn’t allow a custom user interface like Sense in Windows phone 7 devices. HTC has included a widget/application called HTC Hub that lets u access some of the HTC Sense features in HTC Mozart. Animated weather, stocks, notes and some other apps are available at the HTC Hub application. HTC 7 Mozart is very thin due to its uni-body construction. The battery in Mozart changeable, but the cover opens in a special way as you can see from the photos given above. The 8MP camera in HTC 7 Mozart supports HD video recording at 720p. There is inbuilt 8 GB storage for music, movies and applications. HTC 7 Mozart comes with a 1GHZ Snap dragon processor, 576 MB RAM and512 MB ROM. Another notable feature in HTC 7 Mozart is the availability of Dolby Mobile and SRS HD surround. Other features of HTC 7 Mozart include WLAN, Bluetooth with A2Dp, A-GPS, 3.4 mm headphone jack, micro USB port and 1300 mAh battery. So far, there is no information about the launch dates of HTC 7 Mozart in USA and Canada. European countries like France, United Kingdom, Switzerland and Spain will get HTC 7 Mozart in December with Orange network. The expected price of HTC Mozart is $600 without a contract. wat’s the cost of HTC MOZART 7 IN INDIA………. The handset is really cool for its features . It is just amazing to listen to music with Dolby Mobile and SRS surround sound system . It can be expected that handset will take a huge part the mobile market.